Why: The purpose of the nursery/childcare ministry is to provide responsible and loving care to infant and toddler children of the parents/guardians attending Sunday morning worship services in a safe, clean environment. We offer two age appropriate rooms. For those from birth through 24 months, and another for toddlers who are 2 and 3 years old. The nursery/childcare ministry also serves as a vehicle to communicate elementary concepts regarding God’s love to children. At anytime during the service, nursing mom’s are welcomed to pick up their infants and step across the hallway to a private nursing mother’s room. This one-way mirrored room in the back of the worship center accessed across from the nursery allows mom’s to meet the needs of their infants while not missing a moment of the worship service. When: Nursery/Childcare is available each Sunday during the 10:00 AM Worship Services beginning at 9:50 AM. A registration form is required for all new infants and toddlers. Upon registration, the parent or guardian will receive a numbered card that will give them peace of mind during the service. If their little one needs assistance, the number will appear at the front of the worship center via a digitally displayed box. This card is an extra security measure, as it will be needed to pick up the infant/toddler at the conclusion of the service. 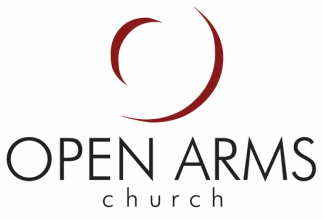 Who: Our Sunday morning nursery/childcare workers are volunteer adult or teenage members of Open Arms (background check certified). Each service is staffed by at least two qualified nursery workers. They serve one week a month (12 weeks a year). This rotation allows our workers to experience corporate worship two-thirds of the year.